A Taiwanese government-controlled telecommunications company has decided to shut down the satellite broadcasts to China of a TV station that provides independent, uncensored reporting on China. Critics say this decision was meant to curry favor with the Chinese regime and represents a threat to Taiwan’s own democracy. On April 11, Taiwan’s Chunghwa Telecom informed New Tang Dynasty Asia Pacific (NTD AP) Television in writing that it will terminate its contract with NTD AP in August. NTD AP has broadcast to Taiwan and China on Chunghwa’s ST 1 satellite since August 2007. NTD is a media partner of The Epoch Times. In an email, Mr. Chiou of Chunghwa’s Satellite Business Department claimed the service termination cannot be avoided due to a lack of capacity on the company’s ST 2 satellite, which is replacing the ST 1. Information published on the Internet by Chunghwa seems to contradict the claim of reduced capacity. Chunghwa has said the ST-2 satellite will offer significantly greater capacity than the ST-1 satellite with expanded service coverage, higher transmitting power, more transponders, and increased bandwidth. NTD AP has filed a complaint with Taiwan’s National Communications Commission (NCC) charging that Chunghwa has violated Taiwan’s Telecommunications Act. That act requires that telecommunications companies provide customers with uninterrupted service, only deny service to telecommunications companies for due cause, and provide services in a fair and non-discriminatory manner. The NCC has agreed to hear NTD AP’s complaint. 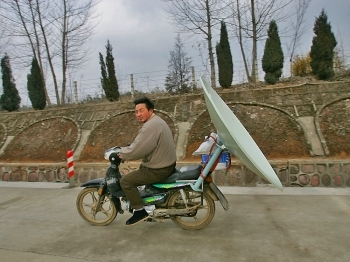 NTD’s regular reports on the Chinese Communist Party regime’s human rights abuses and corruption and shows focusing on China’s traditional culture have reached millions of viewers with satellite dishes in southeastern China. All media in China are controlled by the state and NTD’s Chinese-language broadcasts provide an uncensored source of information for those inside mainland China. Taiwan’s government owns 35 percent of Chunghwa’s shares. Five of nine directors and two of three supervisors are government officials. Since President Ma took office in 2008, Taiwan has increased trade and cultural ties with the Chinese regime. Some suspect that the service termination may be politically motivated. Mr. Chiou said the commercial dispute with NTD AP was not politically motivated nor was Chunghwa discriminating against NTD AP. On May 3 U.S. Congressman Dana Rohrabacher wrote to Taiwan’s President Ma Ying-jeou about the case . Rohrabacher is concerned about the service termination and says Taiwan should encourage freedom and the spread of ideas across the Taiwan Strait. Rohrabacher is a founder of the Taiwan Caucus in the U.S. House of Representatives. He says NTD AP relies on Chunghwa to broadcast to Taiwan and China news the Chinese regime does not want the people to hear. Rohrabacher told Ma, “If Taiwan does not support the struggle for freedom of thought within China, I see no need for America to support Taiwan." The political opposition in Taiwan have strongly criticized Chunghwa’s actions. Tsai Ing-wen, the chairman of the opposition Democratic Progressive Party, told the media that the Ma government needs to deal with this problem seriously and explain to the public whether any political influence was involved. 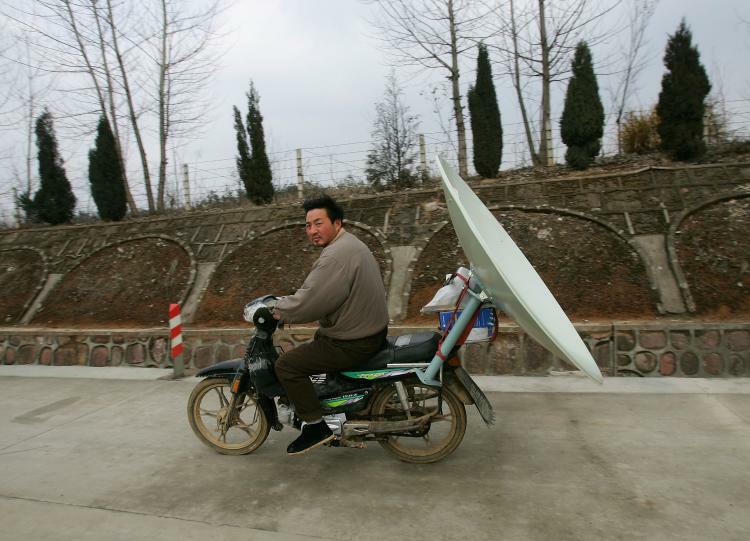 NTD has gotten feedback from its viewers in mainland China on the imminent loss of service. A resident of eastern China commented that Chunghwa’s action suppresses freedom of speech and is undemocratic. “We still wish to receive outside news, and hope that they will reconsider,” he told NTD Television . Yao Wun-jhih, Former Director of Government Information Office for the Democratic Progressive Party said that the Ma government should give NTD AP more support if it is sincere about safeguarding Taiwan’s democracy.